This rich gold picture frame is defined by its high level of ornamentation. 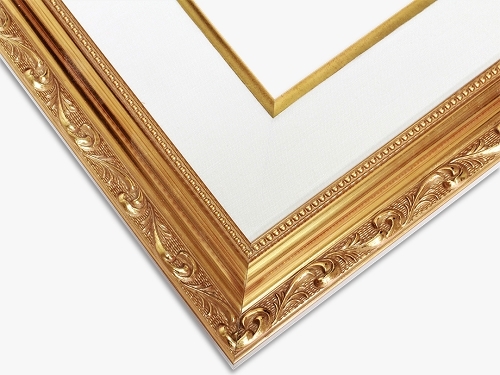 Its embossed gold fillet and beaded lip offer a degree of decoration that is unmatched by most other picture frames. 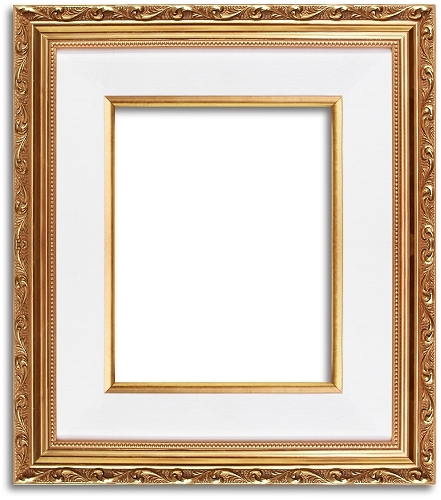 This frame, with its white linen liner, is perfect for drawing the wandering eye to whatever it is you wish to showcase with this attention-grabbing frame. 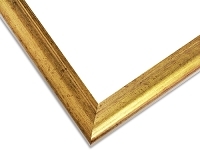 This frame is most often used to showcase achievements or notable moments, such as a graduation picture or an important news clipping. Whatever image this frame is used to mount, it is specifically designed to draw the attention of any passerby, and ensure that the mounted image is inspected in detail by everyone who crosses its path.